IMAGE: BJP leader Anil Parihar. A senior Bharatiya Janata Party leader and his brother were shot dead by terrorists in the communally-sensitive Kishtwar district on Thursday night, prompting the Jammu and Kashmir administration to impose curfew and call out the Army as people staged angry protests and started manhandling senior police personnel, officials said. BJP state secretary Anil Parihar, 52, and his brother Ajeet, 55, were returning home from their shop when they were fired upon from close range at a dark, narrow lane leading to their house, the officials said, adding this was the first such political killing in Jammu region in recent years. The assailants were apparently waiting for the brothers to return home and used pistols to target them, they said. They were rushed to a hospital where doctors declared them brought dead, they said. Immediately after the attack, people started assembling outside the residence of Parihar and refused entry of senior police officers, who were even manhandled. The mourners refused to hand over the body to police and did not allow them to gather evidence from the Parihar Mohalla where the two brothers were shot dead. Kishtwar district magistrate A S Rana made a request to call out the Army in the town and its adjoining areas to control the internal security situation arisen due to 'assassination of Anil Parihar and Ajeet Praihar by some militants'. Rana took the decision as he apprehended that violence might erupt and thus result in law and order problem, endangering life and property of citizens of Kistwar town. Police had announced curfew in Kishtwar, Doda and Baderwah, besides imposing prohibitory orders, banning assembly of more than four people in Ramban, Banihal, Poonch, Kathua, Rajouri and upper reaches of Gool Gulabgarh. Kishtwar is communally sensitive and the district had witnessed communal clashes in the past as well. The recent one was in August 2013. Terrorists have in the past attempted to create communal tension in the region by targeting Hindu community, especially in higher reaches. In 2001, the terrorists killed 17 Hindu nomads. The killings of Parihar brothers drew severe condemnation from all quarters. Union Home Minister Rajnath Singh expressed shock and pain over the killings, saying the police will leave no stone unturned to bring perpetrators of the crime to justice. 'Shocked and pained by the killing of J&K State BJP leader Anil Parihar and his brother. My heart goes out to the bereaved family,' he said in a tweet. The home minister also spoke to K Vijay Kumar, the advisor to the Jammu and Kashmir Governor, and took stock of the incident. 'Spoke to Advisor to J&K Governor, Sh Vijay Kumar regarding the incident. The police will leave no stone unturned to bring the perpetrators to justice,' he said. BJP president Amit Shah said the attack was 'a cowardly act that shames humanity'. 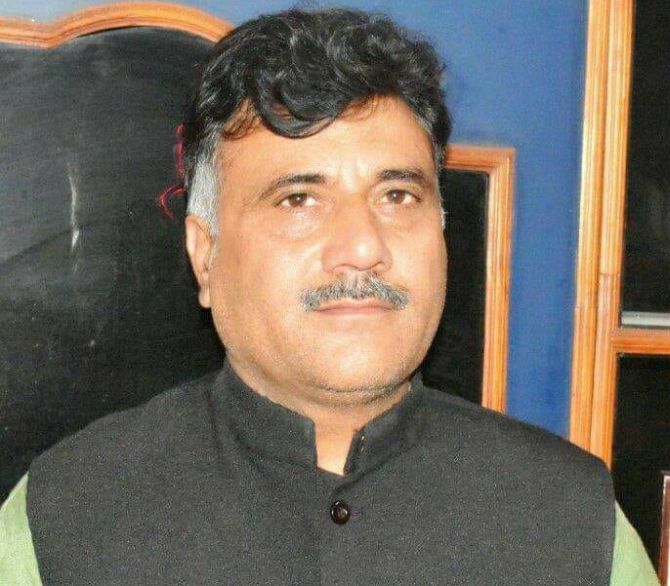 'Just got the tragic news of killing of Shri Anil Parihar, Secretary @BJP4JnK, and his brother by terrorists in Kishtwar. This is a cowardly act that shames humanity. I grieve the death of my valued colleague and pray that God gives his family strength to bear this untimely loss,' Shah tweeted. In a tweet, former Chief Minister Omar Abdullah said it was a 'very sad news' and offered condolences to the families of Parihar brothers. 'Very sad news. My condolences to Anil & Ajit Parihar's family & colleagues. May their souls rest in peace,' he said. BJP general secretary Ashok Koul condemned the attack and called for punishment to the culprits involved in it. Communist Party of India-Marxist MLA M Y Tarigami and state Congress president Gulam Ahmed Mir also condemned the killings of the BJP leader and his brother. Mir termed the attack "barbaric and unfortunate" and pointed towards the deteriorating law and order situation in the state. National Conference's Jammu province chief Devender Rana strongly condemned the killings as 'barbaric, inhuman and most unfortunate'. "Violence has no place in a civilised society," Rana said and hoped that the people will unitedly face the challenge posed by elements inimical to peace and tranquillity. Does Modi care about Kashmir?